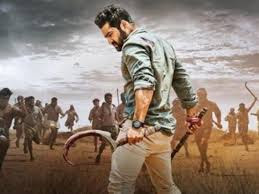 Jr NTR starrer Aravinda Sametha Veera Raghava is running successfully at the box office and according o the traders report, Aravinda Sametha has earned Rs 85 Cr shares at the worldwide box office and in most of the areas, the buyers have come in profit zones. The theatrical rights of Jr NTR starrer Aravinda Sametha Veera Raghava were sold out for s 93 Cr so Jr NTR still need Rs 8 more cr to break-even on the whole. Pooja Hegde is playing the love interest of Jr NTR in this action entertainer.